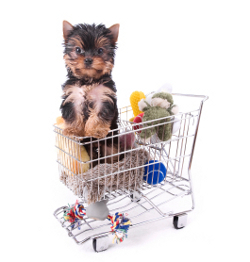 When it comes to choosing essential puppy supplies (and the optional extras too! ), you can save time and money by making sure you buy quality products that will get the job done. Lots of puppy products are cute and shout 'buy me, buy me!' - so if you're a first-time dog owner it can be difficult to figure out what your pup actually NEEDS as opposed to what he (or you) wants. Years of raising and training puppies has taught me how to tell the difference, and on this page you'll find my personal Top 10 picks. You'll find the basics such as a well-made crate and a reliable odor remover to help with crate training, plus a couple of my pup's favorite toys (see my puppy toys and indestructible toys pages for a full selection of the best choices around), a premium puppy food and healthy dog treats. Then there are those extra 'goodies' that make those early weeks so much less stressful for everyone. These include a sturdy play pen, a pheromone diffuser and my favorite book/s. Of course, depending on your lifestyle, accommodation and budget you might find that you don't need all of them... or that you want more! So, at the bottom of the page I've provided links to half a dozen other pages packed full of puppy stuff for you to browse through. IMPORTANT NOTE: The items on this list are not in any particular order, and no one item is more important than another. I've featured my own personal favorite brands and items because these are products I know and trust, but there are usually other similar options that would also work. Housebreaking is 100% easier if you use a crate - really, it is! Although wire dog crates aren't my first choice for potty training, they do have their advantages and some pups prefer them. 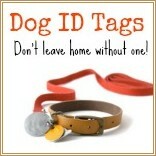 They're great for containing a pup or older dog, but still allowing them to feel as though they're part of the 'action'. For this reason they're also a good choice for dogs who suffer from separation anxiety. If you have a puppy in the house, then you need this product! When your pup has a potty training 'accident' (and he will have these!) regular household cleaners won't remove all traces of the odor his little gifts left behind. But Nature's Miracle products will... and that's good news, because any lingering odors will draw your pup back to the same spot to re-offend! Clean up urine/feces immediately,with the best products for maximum effectiveness. For loose stools or vomit, use Nature's Miracle Pet Mess Easy Clean-Up 12oz to make the job easier. When it comes to buying puppy supplies, this may seem like an optional extra, but in my book it's an essential! Puppies are small, they're quick, and they have weak bladders and sharp teeth. It's easy for them to squat and pee on the carpet, or chew up your most expensive shoes before you realize what's happening. A playpen makes a safe spot to sleep, or play. If you're away for long periods of time before your pup is old enough to 'hold it' for long, you can even set the pen up with pee-pee pads for him to use as an interim potty spot. 4 interlocking panels, each 36"x 23"
Pheromones are natural chemicals that are produced by an animal, that cause behavioral changes in another member of the same species. This diffuser releases a pheromone that is released by a nursing momma dog, to calm and reassure her puppies. 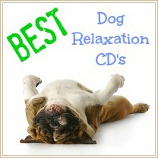 It helps to soothe and relax an anxious or scared puppy , and is a great way to help your new 'baby' settle in at home. Don't expect an instant or obvious reaction though, it takes a little while, sometimes a week or more, for the effect of the pheromones to be noticeable. Once it does happen, you'll find that your puppy is more relaxed and whines/cries less... and is generally less stressed. 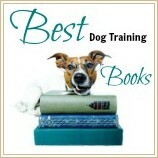 Can be used for a new puppy, or to help reduce separation anxiety, situational fears, travel sickness and more. You can also find other products that use the same pheromone. When it comes to toys, safe, fun, sturdy playthings that can stand up to the wear and tear your puppy dishes out are essential. Between about 12 weeks and 6 months all puppies are teething and have the irresistible urge to chew on everything in sight! To help with teething it's important to make sure they have sturdy puppy teething toys. This rope toy isn't exactly a teething toy, but it's one that all puppies seem to love, and it will keep your little tyke busy for ages! Natural white rope and bones won't stain your carpet, or get smelly. Here's another toy that is a firm favorite with every puppy I've ever met! Toys which have some element of edible-ness (not a real word but you know what I mean) are the most popular and hold a pup's attention the longest. This one has a winning combination or chewy rubber 'ring' which holds two tasty treats and is irresistible to pups and adult dogs alike. Everlasting Treat refills are available to buy in packs of two. The third toy that's pretty much guaranteed to be a hit with your pup. Antlerz are totally natural, super tough (featured on my indestructible dog toys list) and tasty. The naturally rough surface helps to keep your pet's teeth clean and relieves the pain of teething by giving a firm surface to bite on. This is one toy that will last pretty much forever. I have one my GSD has been working on since he was a 8 weeks old, and he's now 14 months! A premium diet is essential because what you feed your puppy has a huge impact on his future growth, health and even how long he lives. There are lots (& lots!) of puppy food options to choose from, but they don't all have the nutrition and quality ingredients your pup needs. Wellness Super5Mix is the food I use for my puppies/dogs and it keeps them happy and healthy. Of course, this is just one option, check out my Choosing The Best Puppy Food page to find out how to choose the right one for your pet. When you're training your new puppy it's important to use only positive, rewards-based techniques. Most times the 'reward' part will be a tasty treat (although praise or a favorite toy are also good rewards). You take care to feed your pup a high-quality nutritious food, so it makes sense to be careful about the treats you choose too. These are my dogs #1 pick! When you're a dog owner, loose hair flying around the house becomes a fact of life. But, there are things you can do to reduce dog shedding. Grooming your dog regularly is the best way to keep your pup's coat and skin in tip-top condition and remove loose, dead hair before it redeposits itself all over your home. For me, this is the best tool on the market and although I do have slicker brushes, pin brushes and other grooming supplies, I use this one the most. Reduces shedding by up to 90%!